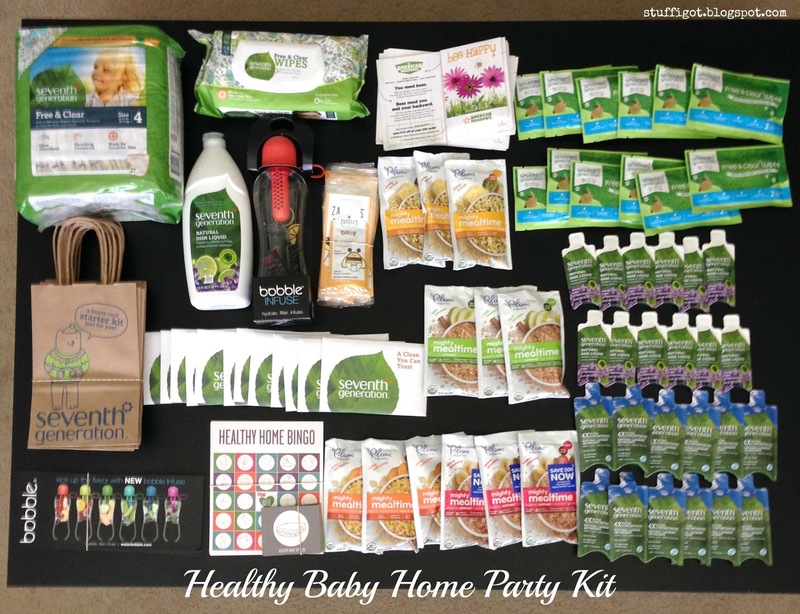 This past Mother's Day, I had the chance to host another Healthy Baby Home Party, thanks to Seventh Generation and the Generation Good Online Community. 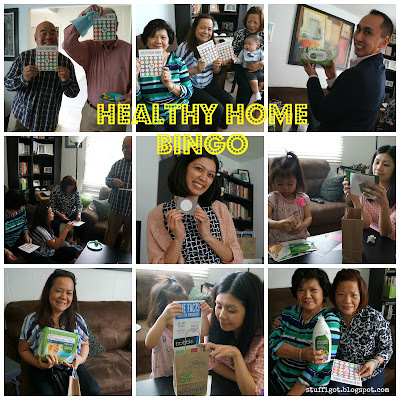 It was a fun way to educate family and friends about ways they could make their homes healthy and safe, as well as celebrating the Moms in our family. The party kit sent to hosts was packed with a lot of fun. 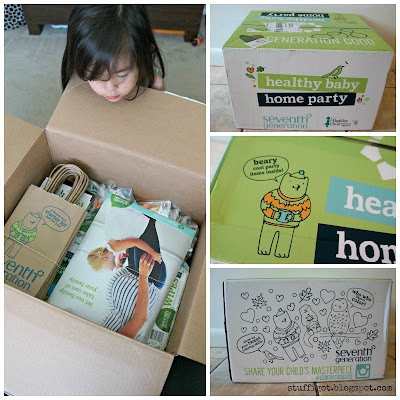 My daughter couldn't wait to see what was inside! One side of the party package had a coloring panel for kids to color. 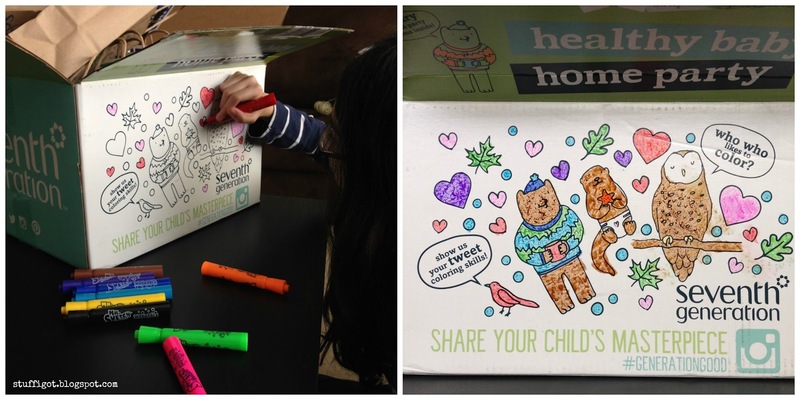 My oldest daughter, who loves to draw, had fun coloring it in. The party kit was full of samples from Seventh Generation, Plum Organics, Zarbee's, and American Meadows, as well as full sized products from Seventh Generation and Bobble. 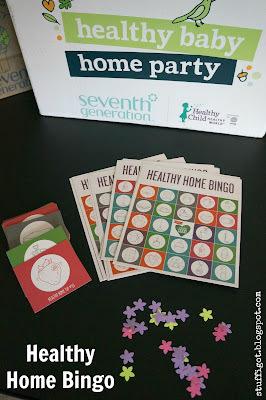 For the party, I set up a little table with goodie bags for the guests, the Healthy Home Bingo game that we were going to play and the prizes that they could win. Use a stainless steel water bottle, or a self-filtering water bottle system like bobble's, to keep you and your baby hydrated on the go. Never heat plastic in the microwave or reuse plastics that have been left in warm areas. 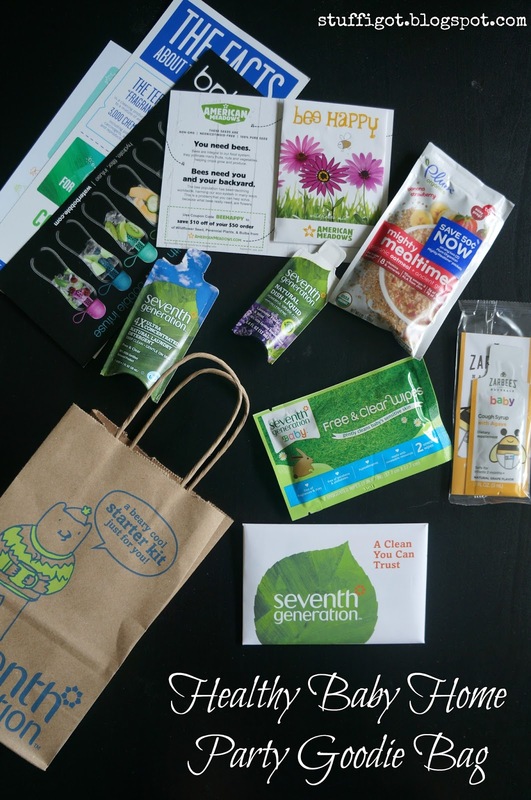 Most plastics have been shown to leach chemicals into food, and heat promotes it. Instead of using room fresheners that contain synthetic chemicals, make your house smell fresh and clean by placing orange or lemon slices, cloves, or any other herb in boiling water on the stove. Baking soda also helps mask pesky odors! The game was a lot of fun and it was everyone's favorite part of the party. 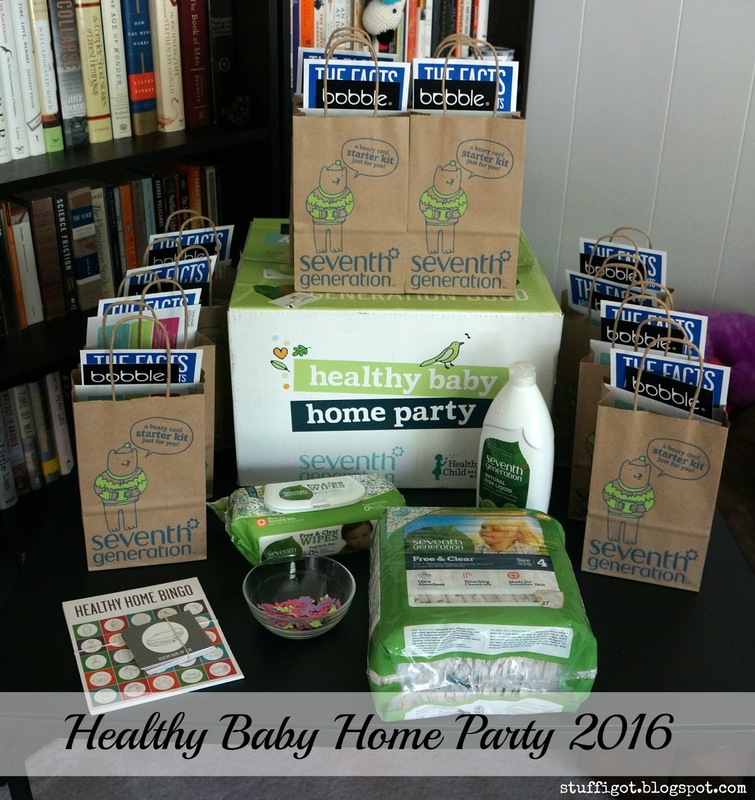 At the end of the party, everyone went home with a goody bag filled with samples and coupons. We all had a wonderful Mother's Day and had fun learning about ways to make our homes healthy for our families.